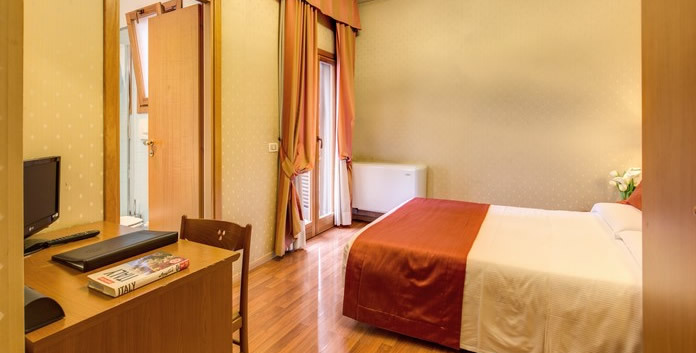 The comfortable single rooms are great for single travellers who are perhaps in Rome on business, as our rooms have excellent transport links to the city’s exhibition centres in addition to all other attractions of Rome. 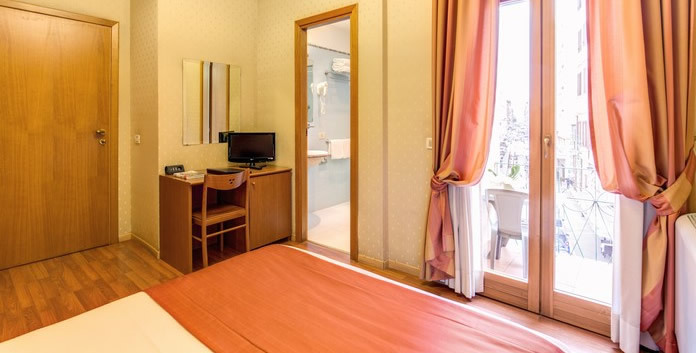 Each single room enjoys air conditioning, free Wi-Fi internet access and an en-suite private bathroom. 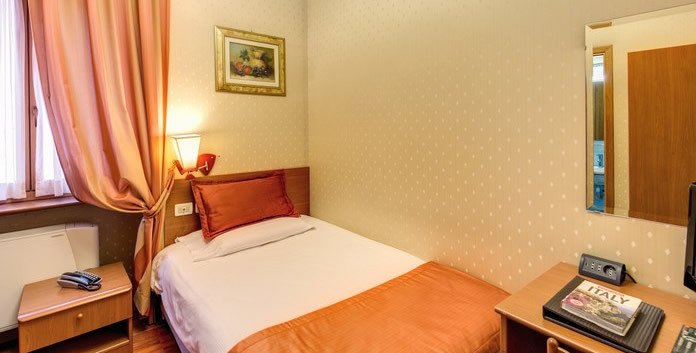 Room facilities: Safety Deposit Box; Air Conditioning; Heating; Hardwood / Parquet floors; En Suite Bathroom with Hairdryer, Toilet, Shower and Complimentary Toiletries; Direct Dial Telephone; Flat-screen TV with Satellite Channels; Minibar*; Wi-Fi Access; Alarm Clock. 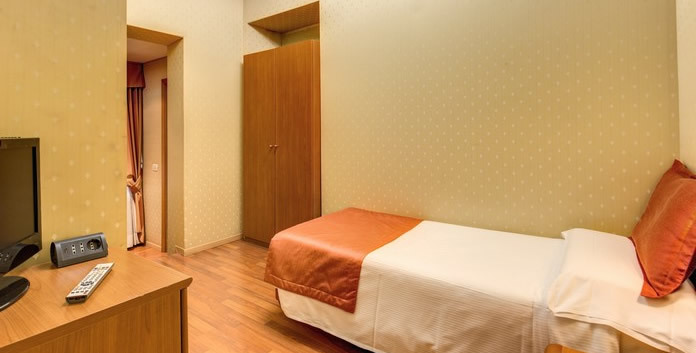 Room size: 8 m² or 86 sq. ft. 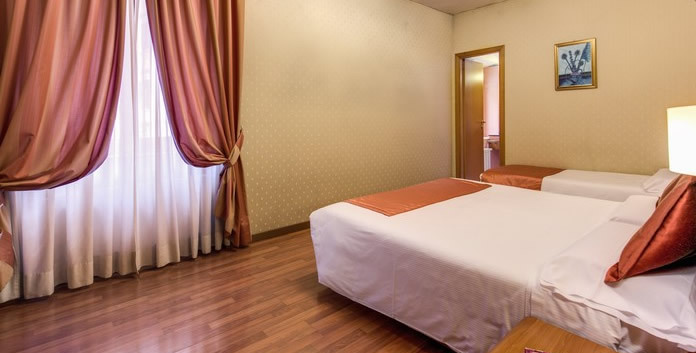 This simple yet comfortable room features free Wi-Fi, air conditioning and private en suite bathrooms. 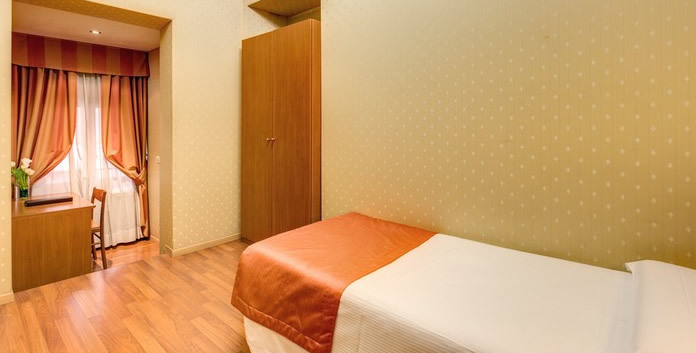 Affordable and relaxing, our double rooms are perfect for romantic couples or close friends. Please specify bed preference when booking. Room size: 14 m² or 151 sq. ft. This triple room can comfortably accommodate up to 3 people, perfect for families or close friends holiday. Please specify bed preference when booking. Room size: 20 m² or 215 sq. ft. Sprawling over an area of 215 sq. 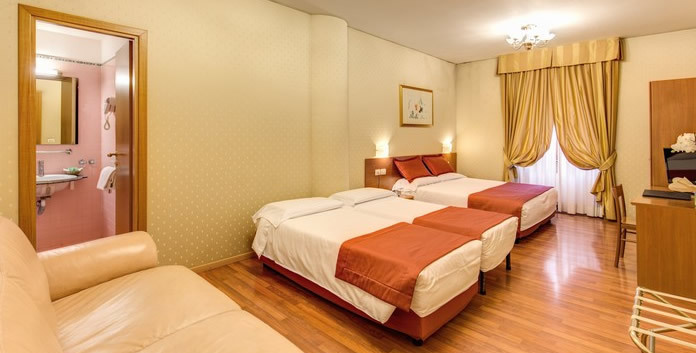 ft., our Quadruple Family Rooms are perfect for families or groups of 4 friends. 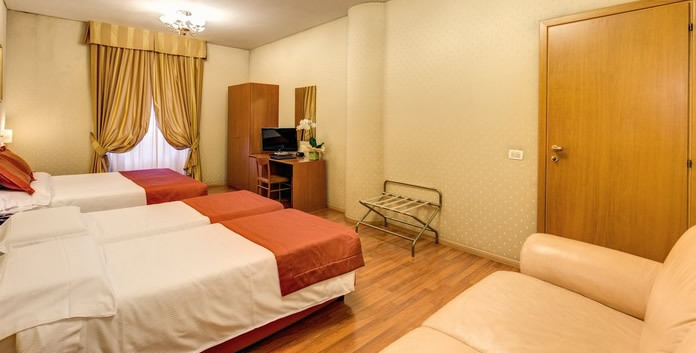 Complete with a comfortable seating area, these rooms are spacious with all modern conveniences. Please specify bed preference when booking.